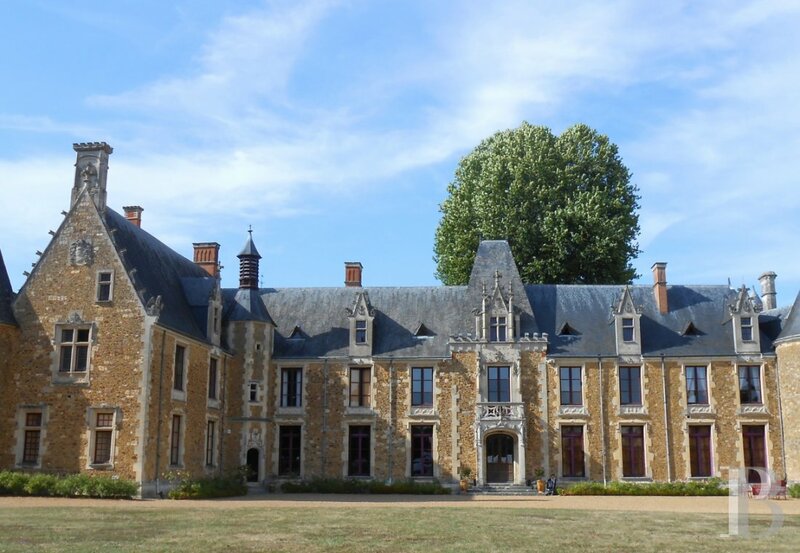 For four hundred years, the chateau of Chéronne has been passed on, mainly between women, by inheritance. The ladies of Chéronne gave the property a soul. We also inherited it and have lived here since our childhood, it is a huge part of our life and history! We offer the calm and energy of a four-hundred-hectare natural park and total disconnection from the rest of the world. 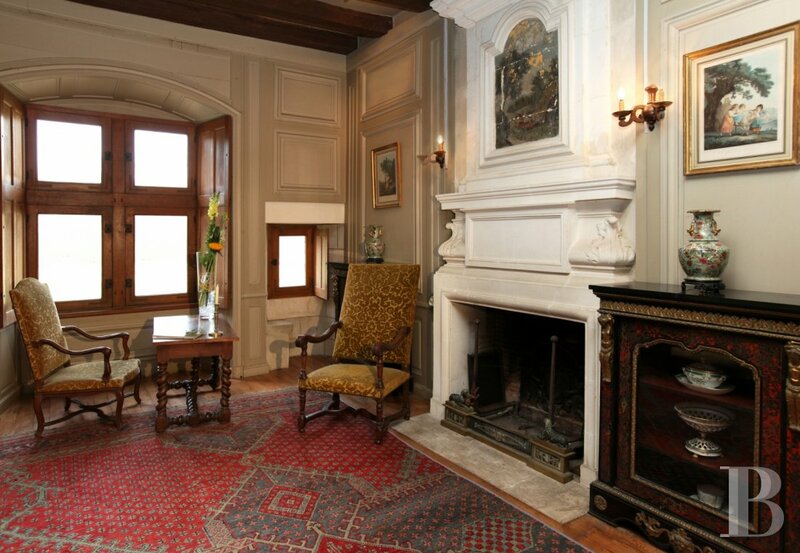 We organise many activities such as classical music concerts, exhibitions and yoga classes. Bikes and outdoor games are also available. 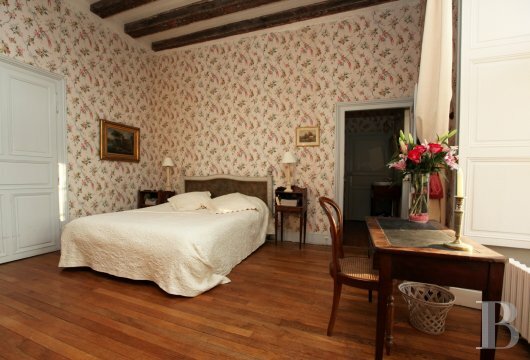 The oldest building, the logis-porte, was built around 1490 and is classified as a historic monument. 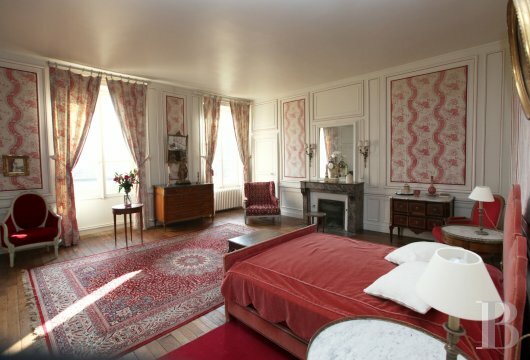 It was probably the first chateau to be inhabited. 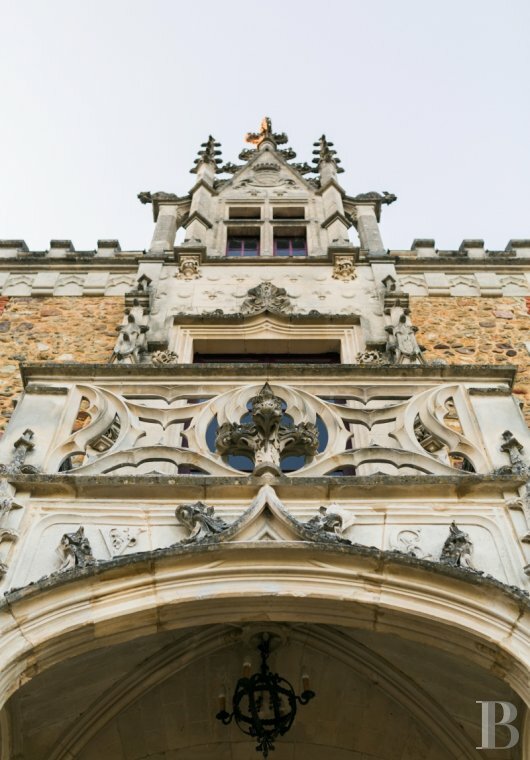 The west wing, which dates back to the 16th century, has all the characteristics of the time: a large tower, arrow slits, a spiral staircase, a parapet walk, drawbridge hooks, Renaissance windows and stone dormers adorned with crockets. Remains of the 17th century moats (which were filled-in in the 19th century) can be found at the entrance to the chateau. The south facade was restored in a neo-renaissance style at the beginning of the 20th century. 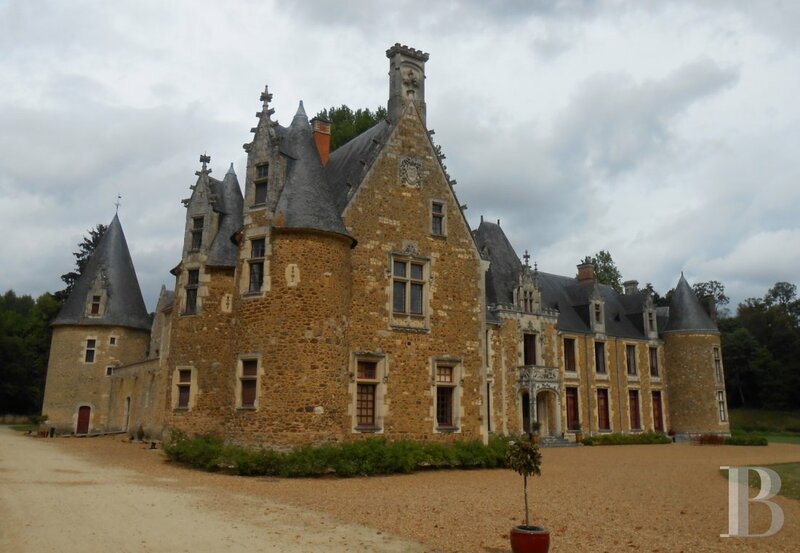 The chateau of Chéronne is located in Tuffé in the Perche Sarthe. 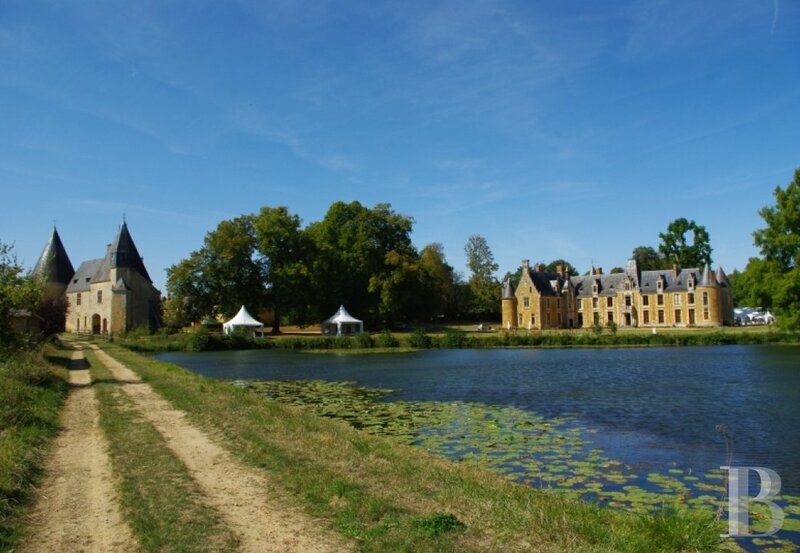 A private road connects Chéronne to the centre of Tuffé where guests can explore the church, the priory, the beautifully restored dovecote and the Abbey of Notre-Dame de Tuffé. We recommend a ride along the Transvap tourist railway on the La Chéronne steam train and the walled town of La Ferté-Bernard. The Pescheray Zoo is a paradise for all ages. The city of Le Mans is also must-see with its automobile museum and the twenty-four hour Le Mans circuit. 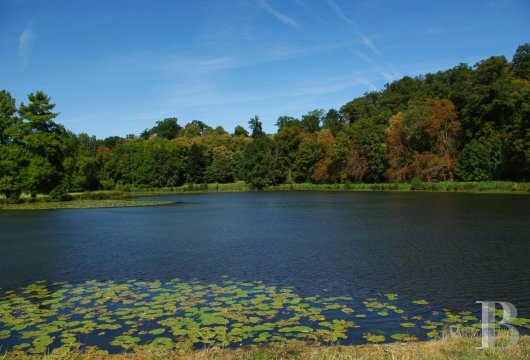 The site of Chéronne has been located in a partially flooded valley since the 14th century, this is evidenced by the 1475 fief of Cheronne chartrier. 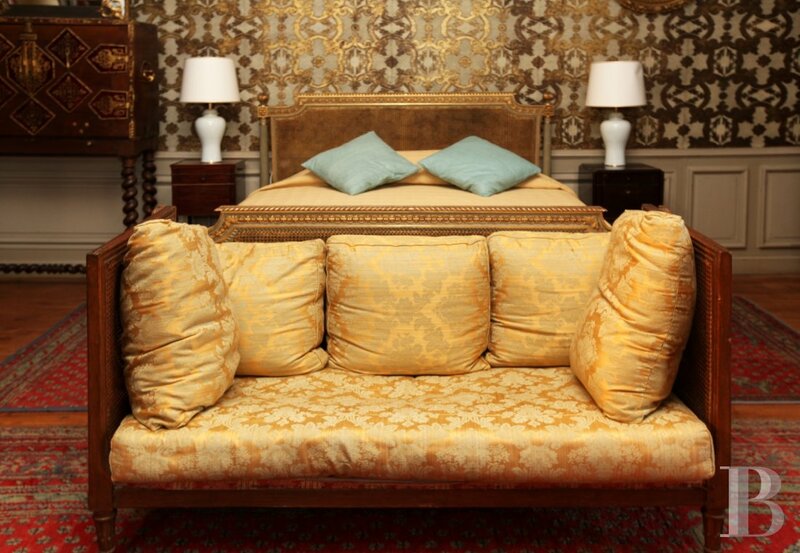 The construction of the chateau itself began with the west wing in the 16th century. 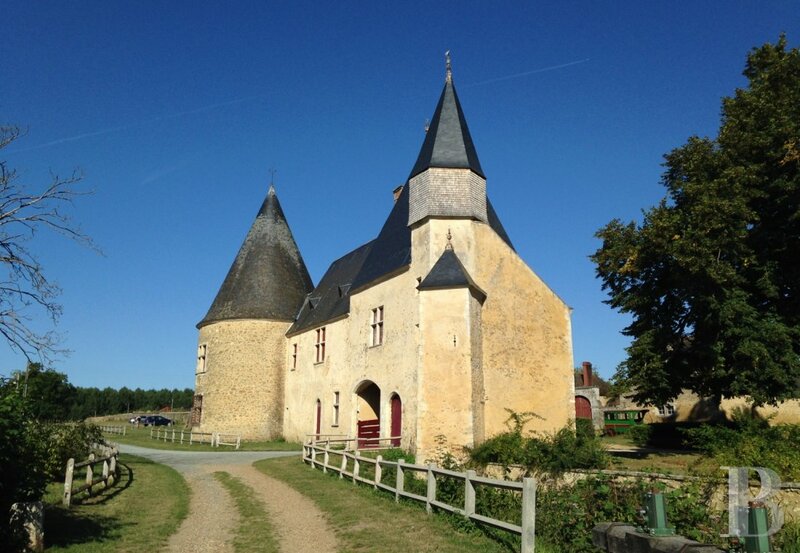 In the 17th century, the chateau became quadrilateral in shape and was surrounded by moats. A second row of moats was added on three of the sides. The west wing chapel was pillaged during the Revolution, but this was the only damage that the chateau suffered. At the end of the 19th century, the moats were filled-in. 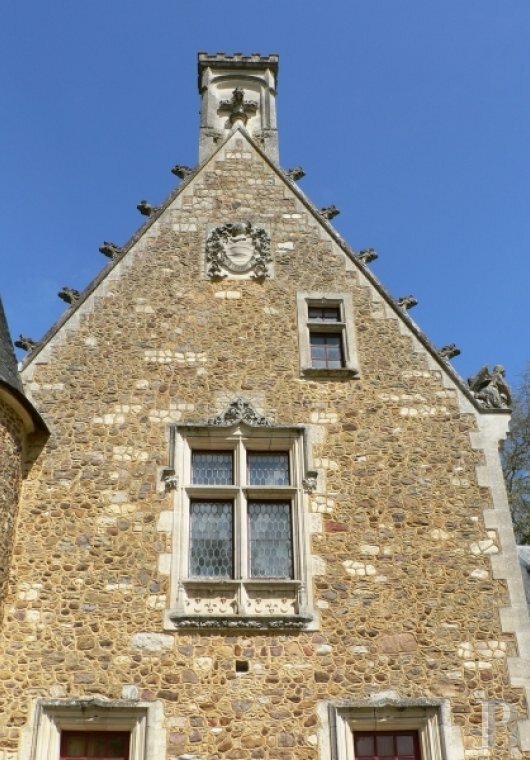 The wing with the damaged chapel and the adjoining towers were demolished, but the materials and woodwork were recovered for the restoration of the chateau. Between the two world wars, the small wheel mill located at the foot of the lake was converted into a power plant. 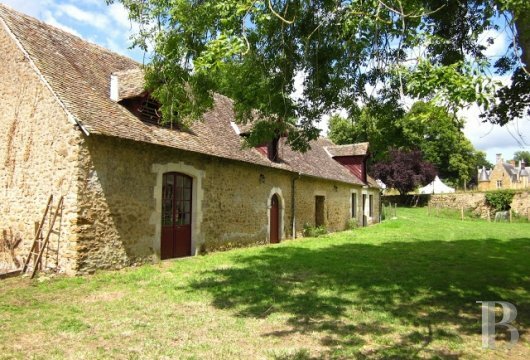 A turbine coupled with storage batteries supplied power to the chateau and the farm - there was even an electric car which is no longer on the site. The plant is no longer in use. 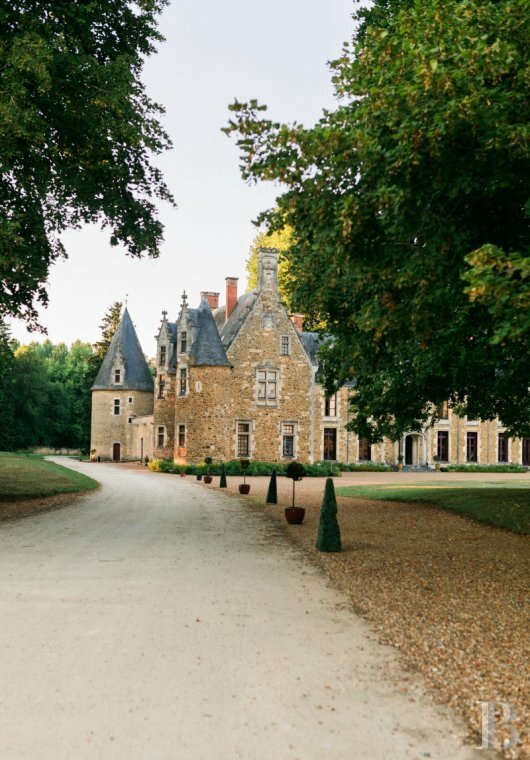 During the Second World War, the chateau was occupied by the German army which had installed an ammunition depot and an aircraft repair point in the park. 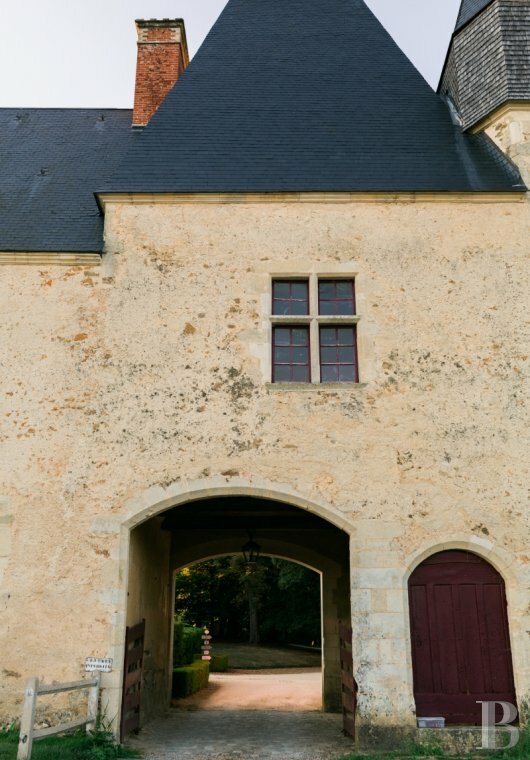 Stepping through the chateau's 15th century logis-porte is a way of stepping into this Perche Sarthe province's history - its story is written on the stones. Overnight stays and receptions alike offer guests the chance to live to the rhythm of a house where the simple of joy of being together and receiving guests has been cultivated for generations. 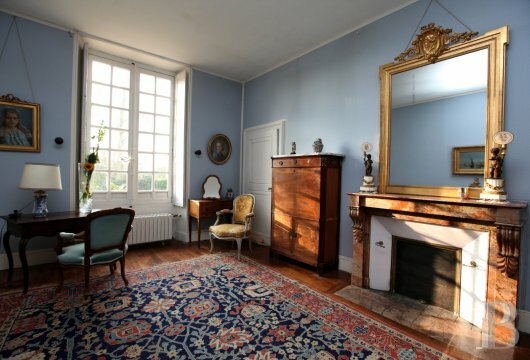 The park (surrounded by woods) the pond, the vegetable garden, the salons and the bedrooms exude the charms of yesteryear, they all contribute to the natural elegance of the estate which has escaped the touch of artifice. 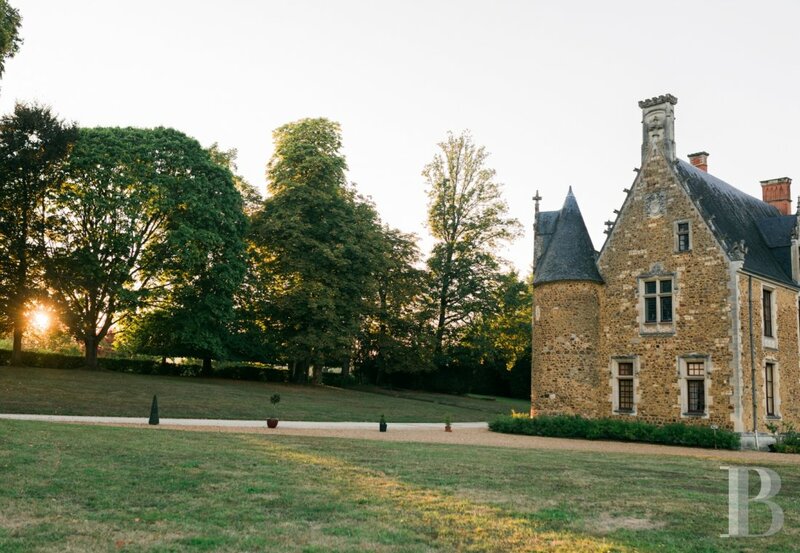 The Château de Chéronne estate is fully equipped for corporate events, it offers 150 m2 of meeting rooms (spread over three private rooms inside the chateau) and a 350 m2 multi-purpose room that can be adapted to the guests' needs. 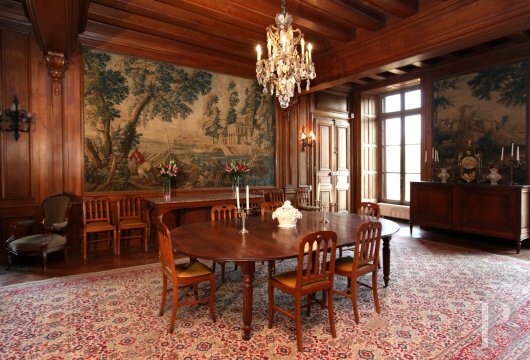 The property is a historic monument surrounded by a four-hundred-hectare park, it can accommodate up to five hundred people. During study days and residential, semi-residential and tailor-made events, the castle offers various services and a complete list of activities and team building. For accommodation, participants have access to eighteen rooms and plenty of activities nearby.